Since the middle of the eighteenth century the Babcock-Smith House has stood amid an ever-changing area atop Granite Street in Westerly. One of Rhode Island’s important architectural and historical landmarks, the house as it now stands clearly reflects the modes of life of the several generations who continuously occupied the house until 1972. The purpose of Westerly Armory Restoration is to restore, maintain, & operate the Westerly Armory for use as 1) a museum (community & military memorabilia), 2) a cultural & social center, 3) home to The Westerly Band (oldest active civic band in the nation) & its historic band library, 4) base for Red Cross emergency respondents, 5) home of the Youth Leadership in Historic Preservation program, and 6) largest memorial to current & past service members in southern Rhode Island. The Memorial & Library Association of Westerly was incorporated on October 7, 1892 to be a living memorial to Civil War veterans. Beginning with the generosity of Stephen Wilcox and continuing with the support of the townspeople of Westerly and Pawcatuck the Memorial & Library Association continues its 100 year tradition of providing library service to the people. The library maintains a large local history collection. The Town of Stonington, CT, occupies a position of importance in the history of the country totally out of proportion to its size, having defeated the invading British twice, as a major ship/rail transportation hub in the middle of the 19th century, and as the home of Capt. Nat Palmer, who discovered Antarctica at the age of 21 on a 47 foot sloop. People emigrated from Stonington to all parts of the United States and abroad; the 19th century saw an inflow to the community of Portuguese, Irish, Italians and Germans. Hours: By appointment; open meetings the second Sunday of March, May, September and November at 2:00pm. Holdings: This small local history collection includes photographs and some paper records that have not been catalogued. Mystic Seaport is the largest and most comprehensive maritime museum in North America. Here you can sail or row exact replicas of traditional wooden boats, cruise in an antique steamboat, participate in formal classes, ride a horse-drawn carriage, star gaze in a planetarium, or spend the day climbing aboard ships or just meandering along beautiful riverfront gardens. Founded in 1973, the MRHS houses an ever-growing collection of Mystic-related historical books, maps, photographs, and other documents and artifacts contributed by the community since its inception. 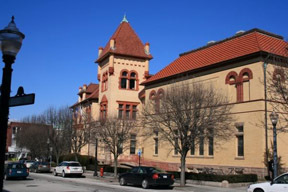 The collections are housed in the William A. Downes Archives Building, erected by the Society specifically to provide a safe environment for them. The society maintains part-time archival and curatorial staff available to assist researchers and to continue the organization and cataloging of the collections. The NSHS has a vast collection of local information in its A. Morgan Stewart Memorial Library at the Stephen Main Homestead on Wyassup Road in North Stonington. The Rhode Island Historical Society is a private, non-profit educational and cultural organization established in 1822 to collect, preserve and share Rhode Island’s history. The Society fulfills this mission through museum exhibits, operating a research library and the historic John Brown House, as well as the area’s newest museum, the Museum of Work & Culture in Woonsocket. The Society offers a variety of public programs and lectures, publications, and special events. 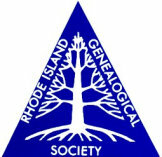 The Rhode Island Genealogical Society was begun in 1975 by a small group of individuals interested specifically in Rhode Island Families and the problems inherent in tracing them. The quarterly publication Rhode Island Roots features many Rhode Island records, such as cemetery and tax lists, General Assembly petitions, civil and military records, and genealogical articles — all focusing on Rhode Island families. Other features include articles about Rhode Islanders in other state census records, queries and our list of RI research volunteers. Each year the Society holds two workshops, two lectures, and an Annual Meeting in May. Located on the Blackstone River in Pawtucket, Rhode Island, the Slater Mill Historic Site is a museum complex dedicated to the preservation and interpretation of the American industrial heritage. The 5.5 acres of Slater Mill Historic Site were the location of intense industrialization and technological innovation during the late eighteenth and first quarter of the nineteenth centuries. Slater Mill was the birthplace of American industry. This online-only publication features articles on narrative history, newly-published books on Rhode Island history, Rhode Island history sites, artifacts, architecture, and historic preservation.